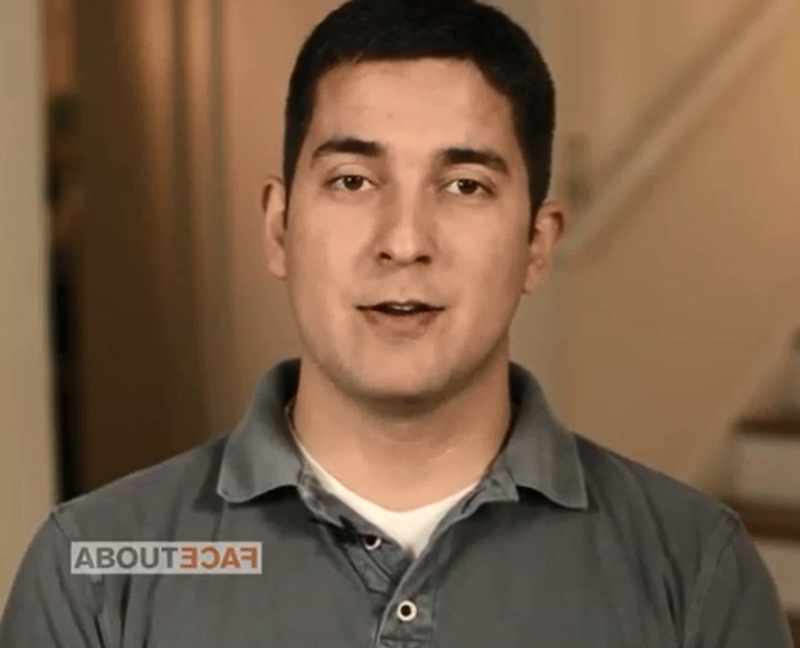 Infantry veteran Timm Lovitt shared how he handles his PTSD in the VA About Face project. A top concern of virtually every deployed military member is the misconception held by many civilians that all combat veterans have PTSD. It’s an incorrect assumption. But it’s a pervasive misconception among employers, educators and even some friends and family. So, the Department of Veterans Affairs is attempting to bust that and other myths about post-traumatic stress disorder. 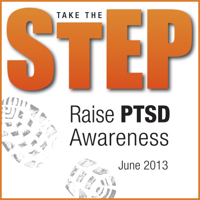 An awareness campaign includes assigning today, June 27th, as PTSD Awareness Day. One way to raise awareness is to listen to the veterans who are living with PTSD such as Timm Lovitt, part of the VA’s About Face project: Nobody knows Vets like other Vets. Here the Veterans offer personal advice about PTSD, based on what they’ve been through. The wars in Iraq and Afghanistan have raised the profile of post traumatic stress disorder, PTSD. But just hearing about it is one thing – understanding it takes more effort. Yet, it’s important because many people who have only “heard” about PTSD tend to paint all with the same broad brush when individualized understanding is needed. So, the Department of Veterans Affairs is working to raise awareness and understanding. Why do your actions matter for others? If you have PTSD, treatment can help you get better and live a full life. If you are a provider, you can help someone take the step into treatment. 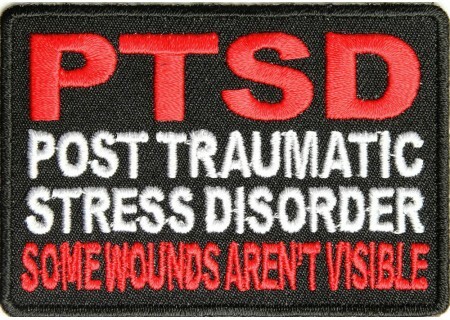 And anyone in the community can make a difference by understanding more about PTSD. Participate in PTSD Awareness Day events: Thursday, June 27th. Choose one or more of our 10 Steps to Raise PTSD Awareness and reach out to others. Point someone in need to www.PTSD.va.gov or AboutFace. Share with others on our Facebook page to encourage treatment seeking. Collaborate with us to Raise PTSD Awareness: Working Together. Providers can volunteer to help Veterans, service members and families through groups like Give an Hour* and Joining Forces. PTSD: Do Men and Women React Differently? A study of 18 men and 13 women who had been diagnosed with PTSD showed researchers that the genders react differently to fear. A staff psychologist at the San Francisco VA Medical Center and an assistant professor of psychiatry at the University of California, San Francisco conducted the study that was published in the October 2012 issue of the Journal of Psychiatric Research. The study showed women responded more strongly to visual cues than men when they saw a particular image that they knew was going to be followed by an electric shock. Researchers say it suggests that women can be conditioned more robustly than men. Mental health experts say women in the general population are twice as likely than men to develop post traumatic stress disorder. Yet, the rate of PTSD was the same among men and women recently seeking treatment at the VA.
As with most research, it created more questions than answers. Researchers don’t know what drives the gender differences in fear conditioning and if there are biological differences in the fear responses of men and women. You can read more about the PTSD Gender study HERE. 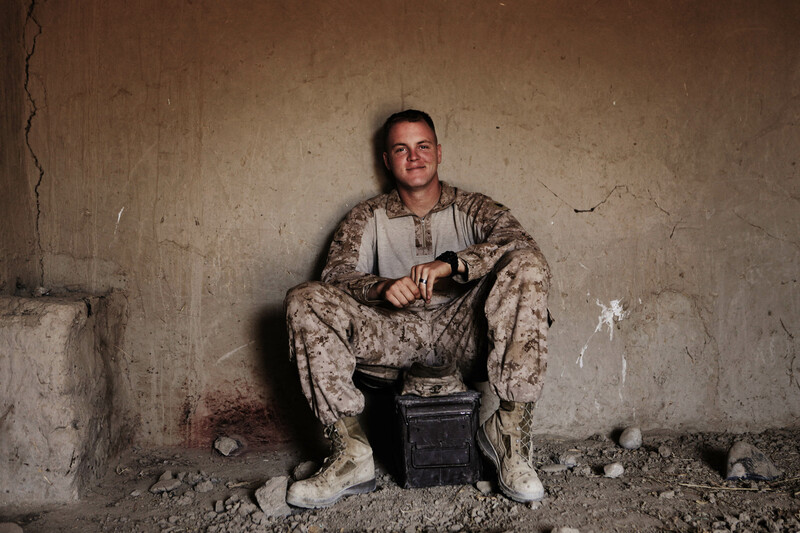 It’s awards’ season and stories from a Marine recovering from a traumatic brain injury (TBI) suffered while in Afghanistan and post-traumatic stress disorder (PTSD) have earned an Honorable Mention Dart Award from the Dart Center for Journalism. Driving home, I am greeted by the sun as it sets across the farmland. I park my truck and then open the door to my house. Unbuttoning my uniform and slowly taking it off, the facade I wore all day fades away and relief washes over me. “Daddy, Daddy, you’re home!” my daughter yells. Most parents feel a sensation of happiness when greeted by their children. At this moment I am sad, empty. I give her a hug, but she feels far away. I lie on the couch, feeling lost. There are 1.7 million Veterans from Iraq and Afghanistan, and at least a third of them suffer from post-traumatic stress disorder, or P.T.S.D., according to the National Center for P.T.S.D. The award noted that Brennan offers a uniquely personal and clear-eyed account of military culture and life as a veteran. Photo courtesy of the VA. The heightened stress that comes with the holidays can be a challenge for combat veterans diagnosed with post-traumatic stress disorder and their families. Dr. James Bender, a clinical psychologist with the Defense Centers of Excellence, compiled some suggestions. Bright lights, loud noises and large crowds that come with the holidays can make holiday events troubling to someone with PTSD. Christmas shopping can be difficult to manage for service members who patrolled while deployed. They may be overly alert and anxious in large crowds scanning for danger. Extreme anxiety around crowds is a symptom that can improve with treatment, but it takes time. There’s nothing wrong with moderate drinking, but people with PTSD are at-risk for alcohol abuse and dependence. But alcohol interacts with a common class of PTSD medication called SSRIs, which can lead to impaired coordination, reaction time and judgment. Avoidance is a prominent symptom of PTSD. Social withdrawal symptoms can be managed with relaxation techniques to reduce anxiety and by taking a 5-10 minute “time out” during a party — a walk around the block or step outside for a breath of fresh air. 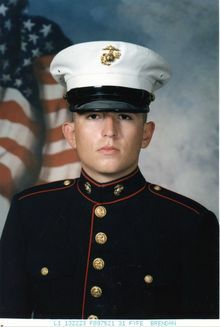 Marine Brendan MacDonald Fyfe served three tours in Iraq. His battle with PTSD and death due to a drug overdose spurred his parents to raise money to build homeless housing just for OIF/OEF veterans. Almost 25 percent of homeless people are military veterans. Transitioning from the battlefield to a civilian job or school can be challenging — especially if the veteran has unresolved problems such as post-traumatic stress disorder. Bruce Fyfe, chairman of the board at Clearwater’s Homeless Emergency Project, understands the plight of homeless veterans at several levels. Fyfe and his wife Wanda helped raise more than $1.6 million to build a 32-unit complex specifically for homeless veterans of the Iraq and Afghanistan wars. Photo courtesy of Paving the Road Back blog. Rod Deaton is a psychiatrist who cares for veterans in Indianapolis. He also writes the blog, Paving the Road Back: Serving those who have served in combat. 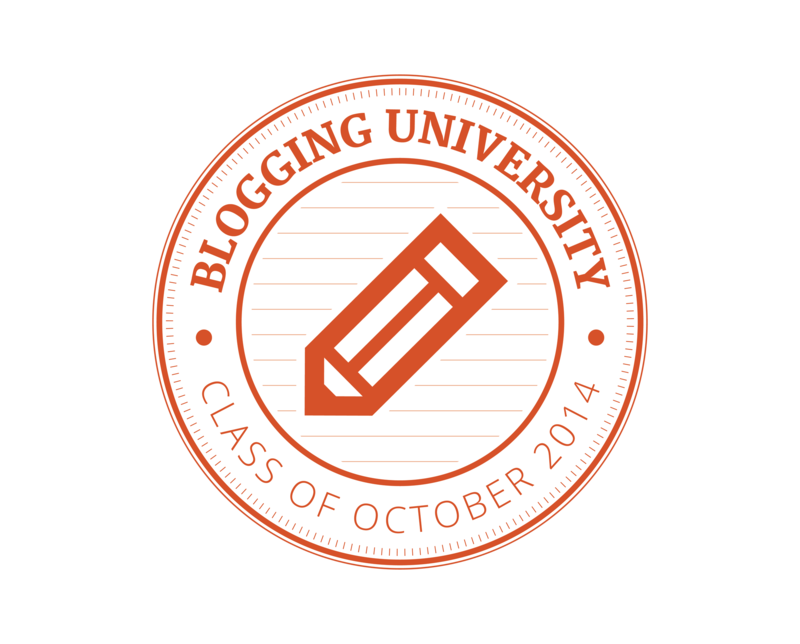 I follow his blog to gain insight, to find solutions, to share stories. This time it’s one of his veterans who taught Deaton and me a lesson. It all started with the New York Times tribute to those killed in Afghanistan and Iraq with the photographic reminder, Faces of the Dead. I knew that I would end up having to write about this experience. But before I could even get enough breathing room to consider doing that, within hours of my having viewed that screen, I was sitting before my patient. He is not doing well. He is not suicidal. He is not giving up. But he is tired. He wants to move forward in his life. He wants at least some of it, the pain, the memories, please, God, to stop. I debate whether to say anything to him. He is distressed already, after all. Yet I also wanted him to know that I had not forgotten, neither him nor the name of his best friend. “Have you seen the pictures in The Times?” I asked. He looked at me, an odd mixture of blankly and knowingly. That was such a dangerous move for a therapist. I’d taken the risk that he’d say “yes” for my sake, not his. I might have misstepped. I believed he meant it. I was tempted to check that out. I kept my mouth shut, though. What’s done was done. He didn’t owe me any more assurance than that.